Every ball player knows the feeling. The final frost of Winter has come and gone, the days are getting longer, the leaves on the trees are back -- and so is baseball. You’re pumped to get back on the field with your buddies, but first, you have to prepare. Seasoned vets will tell you that gearing up for baseball season takes both physical and mental preparation. But you’re not the only one who needs to get in shape for baseball season. Your glove needs to get in shape, too! It's crucial that you properly break in and take care of your glove before you jump into a new season. Maybe your glove has been sitting in the garage collecting dust all Winter. If that’s the case, we’ve got tips here to help you get your glove prepped and cleaned so that it’s ready to go. If you’re in the market for a brand new glove, we’ve also got you covered -- read on to learn about how to properly size a baseball glove, and to learn about what brand and model of baseball glove is best for your position. When it comes to glove sizing, you definitely want to make sure you’re getting the proper fit for your hand size. Here are a few tips for how to measure a baseball glove. The most obvious thing you need to know before you purchase a baseball glove is which arm you throw with. A “right hand throw” glove (RHT) is worn on your left hand; conversely, a “left hand throw” glove (LHT) is worn on your right hand. Different positions require different types of gloves. Let’s walk through each glove by position. It’s important to note that catcher’s mitts are measured differently than infield, outfield and pitchers’ gloves. To size a catcher’s mitt, you want to measure the circumference of the glove, rather than its vertical measurement. Other key differences between catcher’s mitts and fielding gloves are the way the fingers are constructed. For fielding gloves, the fingers are separately cut. This is not the case with catcher’s mitts. All of your fingers are grouped together, which helps catchers catch fast balls repeatedly without it being painful, and without their hands getting tired. Catcher’s gloves also tend to be much stiffer than fielding gloves, so they take a longer time to break in. Infield gloves tend to be smaller in size compared to gloves for other positions. Infield glove pockets tend to be shallower and more open, too. The open pocket design allows players to transfer the ball quickly from their glove, which is good because making quick plays is key for infielders. First base gloves most closely resemble catcher’s mitts. They don’t have as much padding as catcher’s mitts, however, and they’re slightly longer. The longer glove design helps first basemen reach further and make diving catches more easily. First base gloves tend to have fairly deep pockets and usually have the same amount of catching area as catcher’s mitts do, but they’re not as rigid as catcher’s mitts. The flexible design of first base gloves makes them more efficient at scooping up ground balls. Comfort is key when it comes to pitcher’s gloves. They don’t tend to have a ton of padding, and they’re usually a lot larger than your typical infield glove. The larger surface area allows pitchers to disguise their hand placement around the ball, which helps them disguise their next pitch. All in all, you want your pitcher’s glove to be as comfortable and lightweight as possible. You’ve seen the highlights. Center fielders tracking a pop fly with their hand outstretched, waiting for the right moment to dive and make the SportsCenter Top 10-worthy play. Outfield gloves are usually longer and larger in size to help make these big diving catches. They also tend to have deeper pockets for the same reason. An I-web is a pretty open style of glove webbing, and it’s a preferred choice of many infielders (second basemen and shortstops). 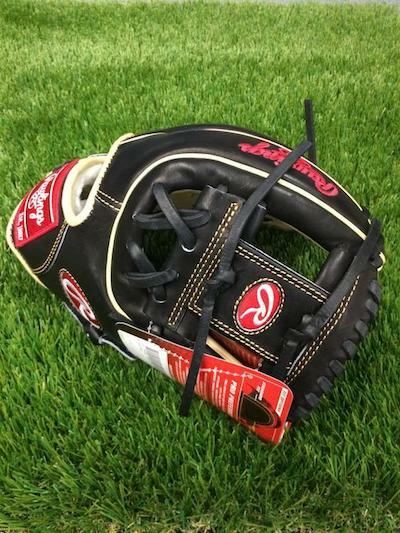 The openness of an I-web allows any dirt you scoop up while fielding a ball to fall quickly out of your glove. H-webs -- or dual post webs -- are usually best for outfielders and third basemen. This style of webbing allows outfielders to see through their gloves when they’re looking up and tracking pop ups. H-webs provide a sturdy yet flexible glove experience. Closed webs, or basket webs, are popular among pitchers and catchers. The completely closed web design is great for concealing the ball, which is obviously a priority for pitchers. Basket webs are also super flexible compared to other styles of webbing, making them easy to close. The two-piece closed web has similar advantages to a basket web. It’s an ideal webbing for pitchers, because it completely conceals the ball. One of the most popular guys in the league to utilize a trapeze web is Mike Trout. Trapeze webs are pretty much only used by outfielders. They allow for a deep pocket, and they shield your eyes from the sun when you’re tracking a ball. Modified trapeze webs are close cousins of standard trapeze webs. The main difference is the addition of a strip of leather across the top of the web. This adds stability to the glove. 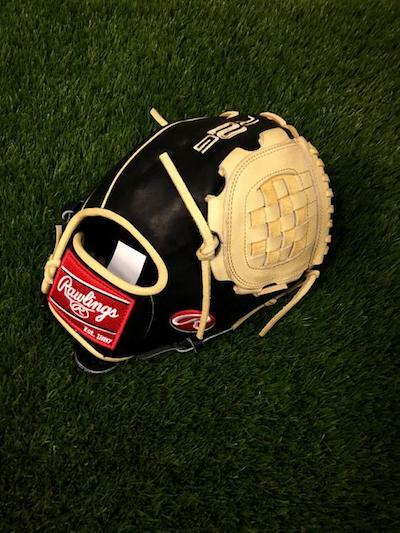 The modified trapeze web is a bit more versatile, so it can be used by outfields, infielders or pitchers. To start, fill your bucket with hot water. Using your plastic cup, gently pour water over the entire surface of your glove until it’s covered. Next, use your mallet (or your fist if you don’t have a mallet) to pound in the leather. Be sure to hit all areas of the glove. Next, put your glove on and use your mallet, a baseball or your other hand to pound in a pocket. Continue this process until you feel like you’ve achieved the pocket shape you desire. ARod swore by the ability of shaving cream to break down leather. He would spend an entire year leading up to a season applying shaving cream regularly to his future glove. In addition to this shaving cream ritual, he would also routinely play long games of catch with a teammate to mold the glove’s pocket. Once the season arrived and it was finally time to use his glove, ARod would put his glove in the freezer before every game. He’d take it out about 30 minutes before the start of a game. Why? He noticed that the summer heat often took a toll on glove leather. The humidity would cause a glove to become waterlogged, soft and heavy. His solution: the freezer. The cold climate would harden his glove and help restore its proper shape. First, fill one of your buckets with water. Next, pack the glove’s pocket with three baseballs and tie it closed with a long piece of string. Once the glove is stuffed, submerge it in your bucket for 24 hours. After a day of soaking, remove the glove from the water and untie the string wrapped around it. Remove the baseballs, and get your sledgehammer ready. We’d advise you do this in your backyard or in the garage. Place your wet glove on a flat surface, and pound it with your sledgehammer to work in the leather. After you’ve done this, re-stuff your glove with the baseballs and tie it up once again. Be sure to use a fresh piece of string. Submerge your glove for 24 hours once again. After a second full day of soaking, remove your glove from the water, untie it and remove the baseballs. Allow your glove to fully dry. Once dry, it should be ready to go! Harper suggests you use saddle oil on your glove frequently throughout the season. The routine application of oil will help keep your glove soft and help prevent it from cracking. Use your brush to regularly rub surface dirt off of your glove. You want to get rid of dirt as quickly as possible. The longer it stays on your glove, the more likely it is to harden into the leather. If it hardens, it will be harder to remove. Once you’ve cleaned off surface dirt, use your leather cleaner and a rag to remove the more stubborn dirt from your glove. Remember not to use too much leather cleaner. Next, it’s time for glove conditioner. The same rules apply here: be careful not to use too much conditioner, or you’ll risk having it build up within the glove’s leather. Be sure to wipe down all areas of your glove for the best results; that includes in between the fingers, and on the palm of the glove as well. 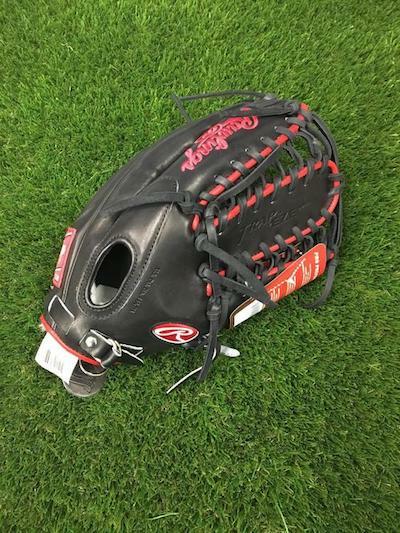 One of the most popular glove lines from Rawlings, HOH gloves come in a variety of sizes and specific models, including game-day glove models of some of the MLB’s biggest names, including Bryce Harper and Corey Seager. Each HOH glove is constructed with steerhide leather. 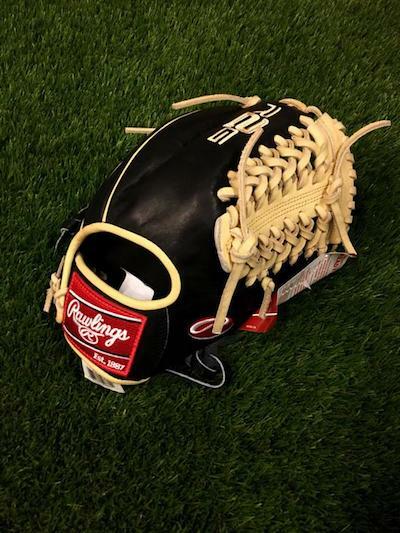 Rawlings’ Pro Preferred gloves are another popular choice among professional and elite level ballplayers. Pro Preferred gloves are crafted with supple kip leather. The Gold Glove series is championed for being redefined and achieving the ultimate standard in perfection. 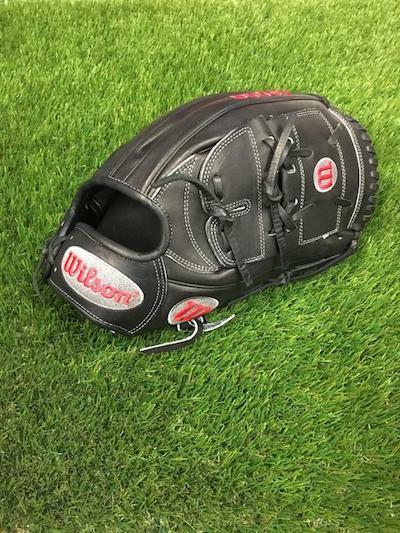 The Wilson A2000 comes in a variety of sizes, colors and specific models, and it’s easily one of the most popular gloves in all of baseball. People sometimes confuse the A2000 and the A2K, but they’re in fact very different gloves. The A2000 is older and less expensive than the A2K. It’s used by MLB stars including Robinson Cano, Carlos Correa and Clayton Kershaw. The A2K is used by professional players such as Mookie Betts and Brandon Phillips. The A2K tends to be more expensive than the A2000 for numerous reasons. Namely, glove technicians spend three times as long working in the leather on A2K gloves than they do on A2000’s. This explains why the A2K has the reputation for being a softer glove than the A2000. The softer leather makes the A2K overall easier to break in. Invented in 2013, the Founders Series glove line utilizes premium Japanese kip leather. The “Honor the Game” (HTG) Series from Marucci was designed with input from professional baseball players who wanted a glove that was more durable and game-ready than other options. HTG gloves use Premium A-Grade USA Steerhide. 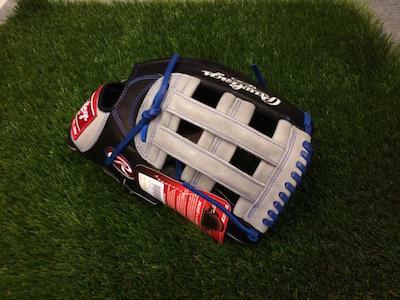 We recommend checking out the following glove lines from Mizuno.